The WEIGHT statement allows you to take into account the weight when computing the frequency statistics. 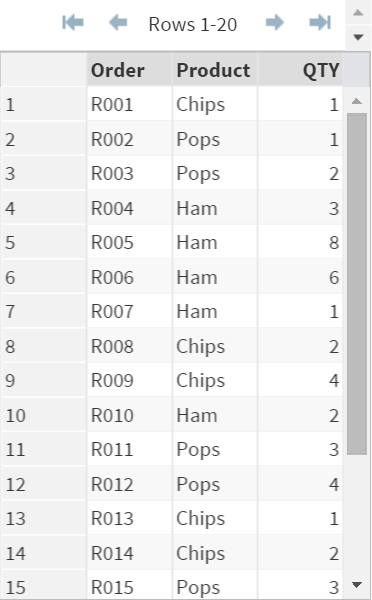 The FOOD data set contains a list of 20 transactions. The data set also includes the quantity sold for each product in each transaction (QTY). We are interested in counting the total number of item sold for each product. In order to take into account the quantity sold for each transaction, we will have to add the WEIGHT statement to Proc Freq. The number total of chips sold are 1+2+4+1+2+1+1 = 12. The variable N represents the number of copies each library has at their location. Compute the total number of copies for each book.